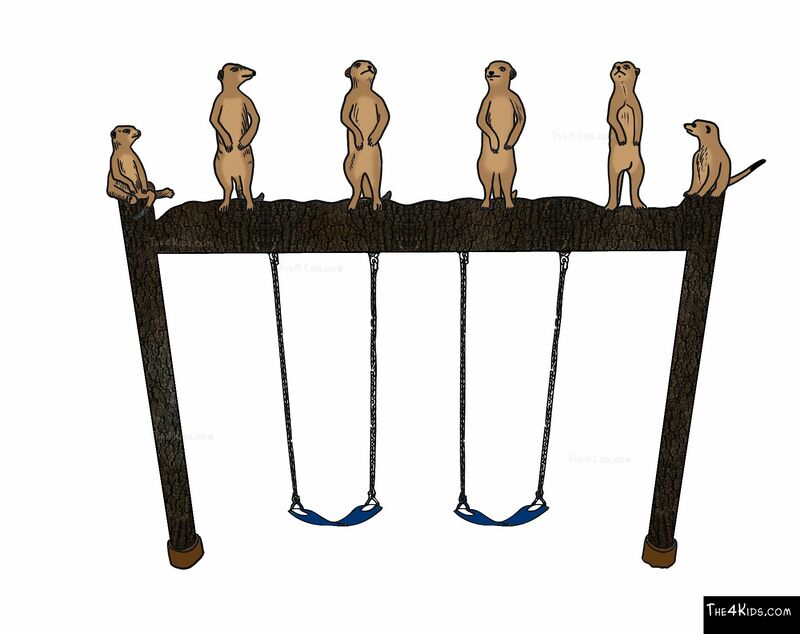 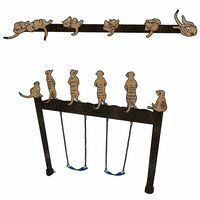 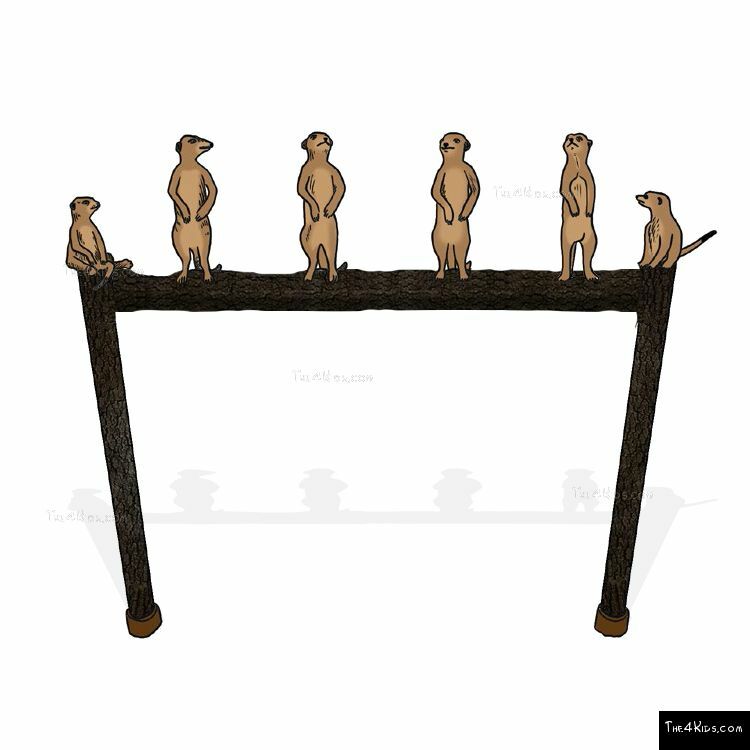 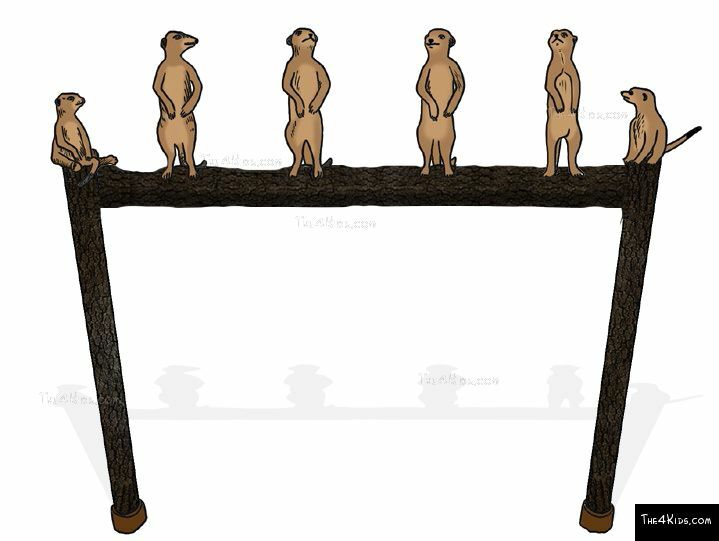 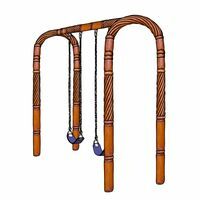 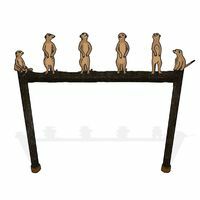 Absolutely captivating as well as delightful, a family of perfectly crafted meerkats lines up along the overhead bar of The 4 Kids Meerkat Swing, drawing joyous crowds of kids to your playground every day. 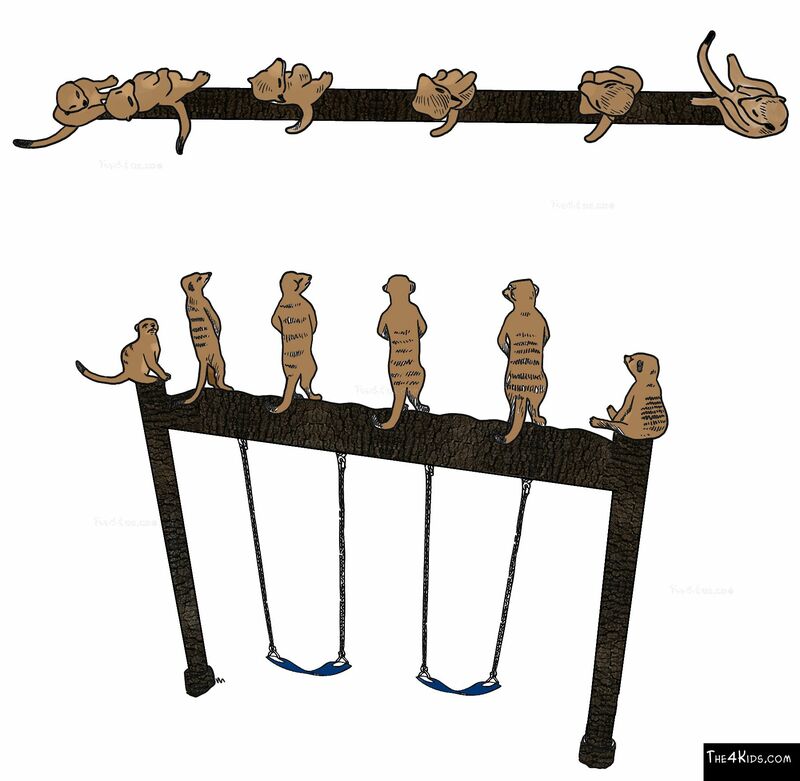 Lifelike little meerkats oversee the swinging children below as part of the décor plan for theme parks or zoos, indoor or outdoor fun centers and family playgrounds. 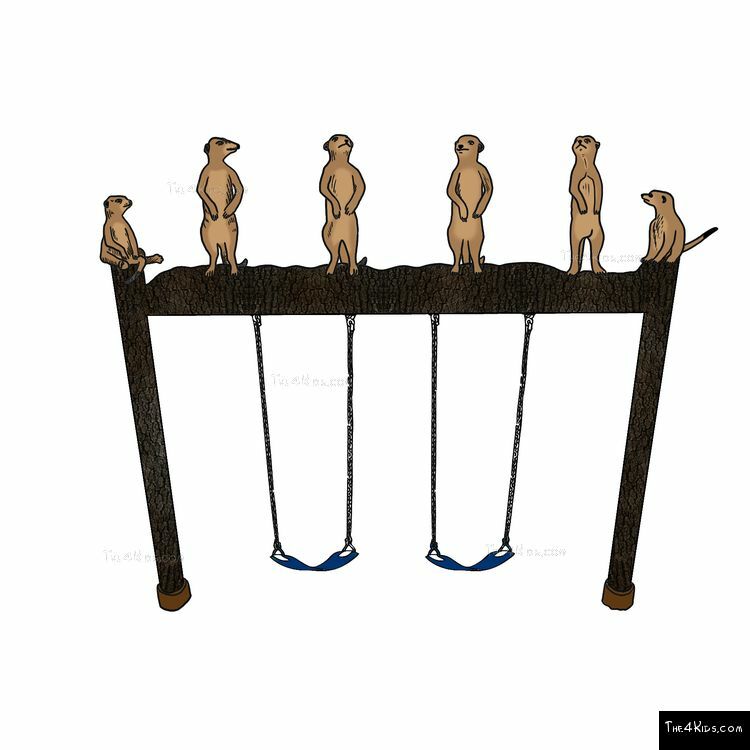 Inviting kids of all ages to indulge that childhood penchant for flying through the air as well as freeing their imaginations for exciting make believe, the meerkat swing is a masterpiece. 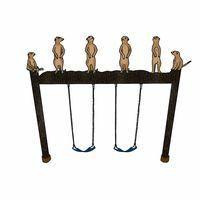 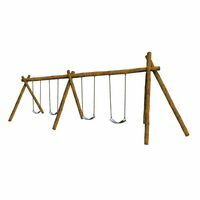 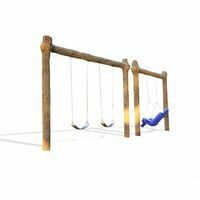 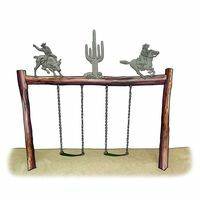 Created by experts in the Greenville, Texas studios of The 4 Kids, the Meerkat Swing adds an element of adventure to this popular playground structure, kicking up the fun factor wherever it is placed. 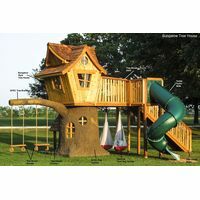 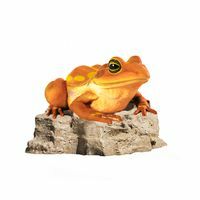 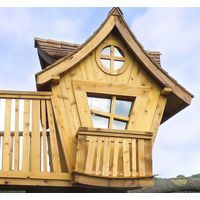 Kids will love it, but parents and park staff will love it even more, for entirely different reasons. 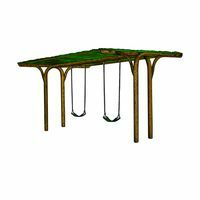 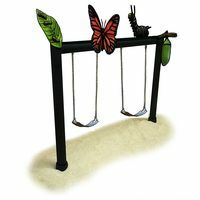 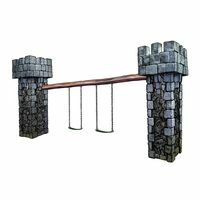 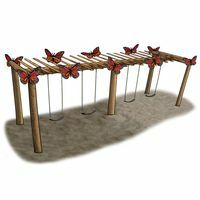 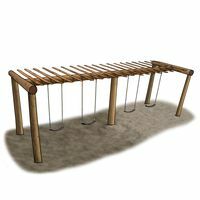 Crafted from glass fiber reinforced concrete, the swing set is virtually indestructible in any kind of weather, including salt spray from the sea, and this high quality playground structure is designed using the strictest of safety standards.